Since 1962 we’ve dedicated ourselves to sharpening the right instincts to combine with field data in an endless pursuit of growing the finest wine grapes possible. Our family has been steward to many historic vineyards and remains focused on continually improving our farming methods. The Renteria family was in Napa Valley before most of us, and have remained a major contributor to the health and welfare of our vineyards, wine business, and community. No matter how far things advance, never be afraid to go with your gut. We believe the best methods combine practical experience with innovative technologies. Both long-term planning and adaptability are essential to the success of our vineyards and winemaking. Our on-going pursuit has been, and always will be, to sustain deep connections to the earth and to the people of Napa Valley. The future of our estate wines is a vital plot of Cabernet Sauvignon that bridges Oakville to Rutherford. The vineyard is balanced on the cusp of these two legendary wine growing AVAs (American Viticulture Areas) that have a reputation for producing some of the world’s best Cabernet Sauvignon wines. We’re inspired because this 40-acre ranch brings us full circle from where Salvador Renteria first set foot in Napa Valley. You can achieve much when you earn the contract, but so much more when you hold the deed. 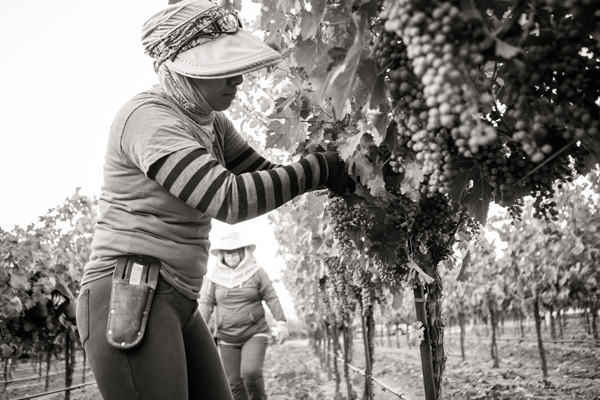 Renteria Brown Ranch embodies our ascension from vineyard workers to estate owners. Just under 30 acres planted to different combinations of clones and rootstock make these rolling slopes a dynamic vineyard site. We have just begun to unlock this vineyard’s potential to produce exceptional Chardonnay and Pinot Noir wines. Tended by the Beckstoffer family and perhaps the most famous vineyard in Napa Valley, To Kalon was first planted in 1868 and has produced, undeniably, some of Napa Valley’s best wines. Planted to Cabernet Sauvignon and Cabernet Franc with modern trellising and tight vine spacing, this vineyard has consistently produced highly coveted wines for decades. We are pleased to present the quality of Beckstoffer To Kalon as the core of Desde Luisa, our reserve wine dedicated to the matriarch of our family.